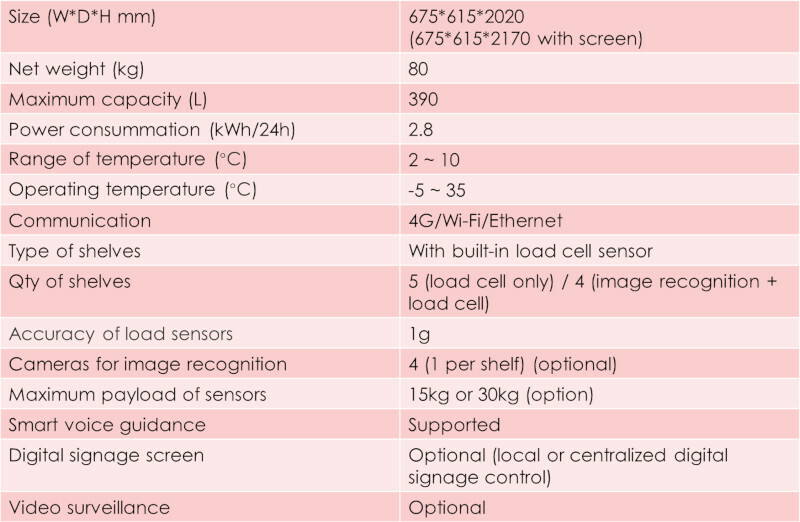 An automated intelligent commercial shelf/refrigerator that offers increased volume and uses both load sensors and image recognition for accurate detection of goods. 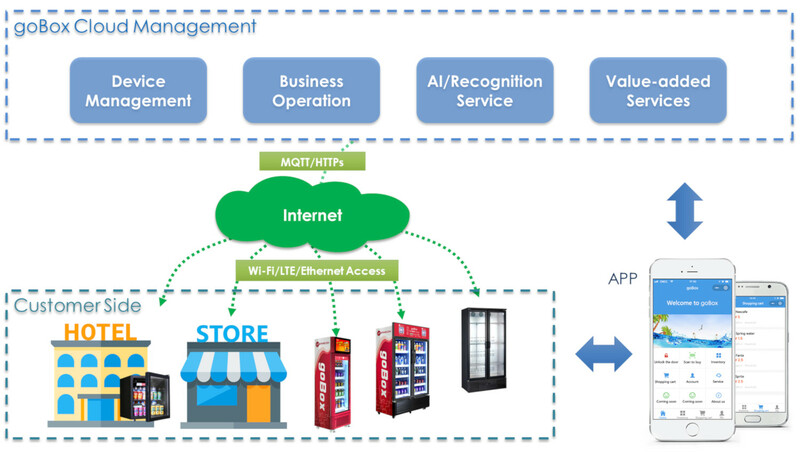 The goBox-GC390 uses a wired or wireless access link to interconnect to the MMS cloud platform to benefit from advanced features including centralized monitoring and control, business analytics, loss prevention, image recognition, facial recognition and other features designed to automate the shopping and business processes and let the shop owner focus on business growth. The solution enables automated shopping service including goods identification, self-checkout and cashless payment, and can be optionally integrated with a 3rd party ERP via goBox API for even more use cases and service scenarios. The goBox-GC390 can be optionally equipped with a display to enable value-added features including commercial video/audio advertising.